Weekly, fortnightly or monthly cleans available. All aspects of visible uPVC cleaned at your home. A complete clean including the roof and internal windows. Had my windows cleaned on the salon today. Cardiff Window Cleaning did a excellent job and attention to detail was very thorough. Thank you again. Have been using Cardiff Window Cleaning for about a year now. They do a great job with a high quality finish! Would definitely recommend them to anyone! The staff are very polite and courteous as well. The let me know well in advance of when they are going to turn up, very professional service. Keep up the good work. Prices are very reasonable! Thanks. Cardiff window cleaning provide a first class service for upvc cleaning in Cardiff and surrounding areas. Cleaning your dirty gutters fascias and soffits will drastically improve the curb appeal of your property. We clean your gutters, fascias and soffits safely from the ground using professional grade cleaning equipment and solutions that achieve the highest possible standards. 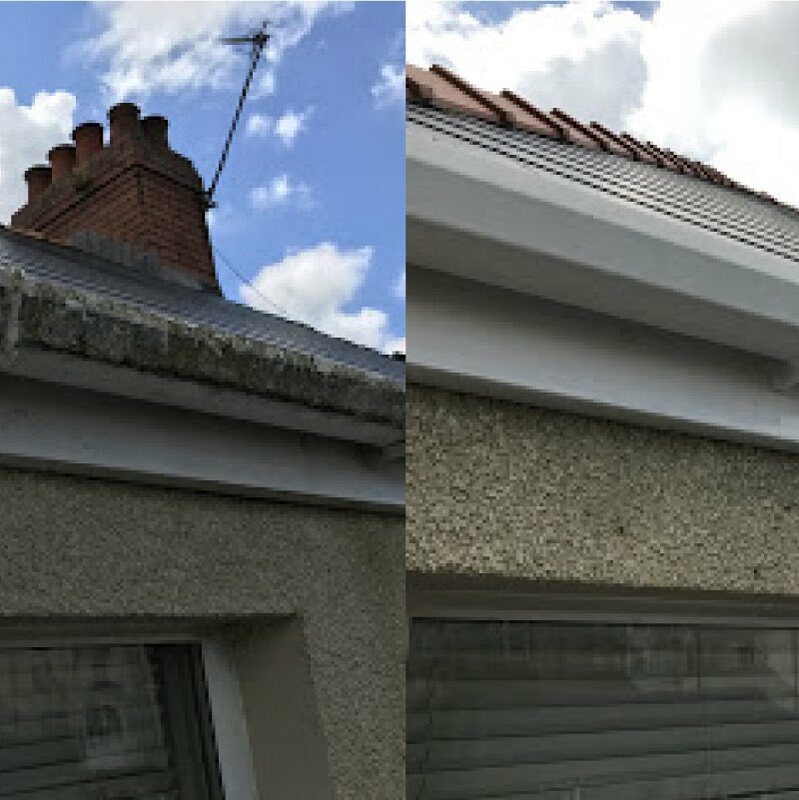 For a complete service you can combine our Fascia and soffit cleaning service with our Gutter cleaning service at a discounted rate. Cardiff Window Cleaning provide a first class service for gutter cleaning in Cardiff and surrounding areas. Having your gutters cleared out regularly is a vital part of maintaining your home. Blocked gutters can quickly result in damage to your property resulting in expensive repair bills, from damage to the gutters themselves to damp penetration to your house. We therefore recommend an annual gutter cleaning service, however can accommodate your needs as and when you feel appropriate. We clear out gutters by hand using ladders as we feel this is the most thorough method, enabling us to unblock any down-pipes necessary also. 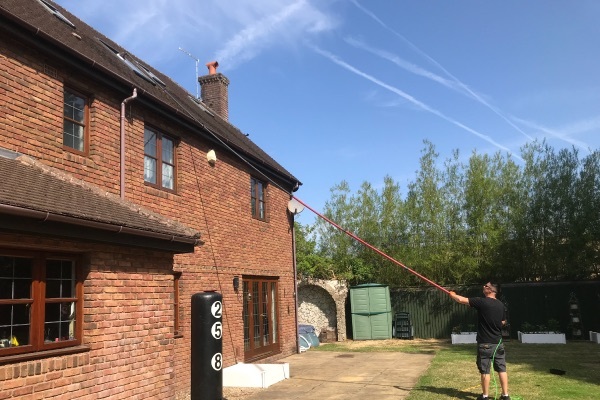 For particularly high gutters over 3 stories we can use a gutter vacuum system which enables us to clear out gutters up to 40ft safely form the ground. 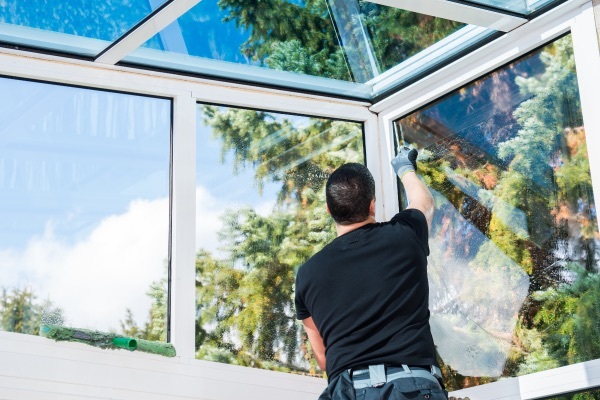 We can also clean above conservatories and extensions with ease. In addition we also provide an invoice as proof for your home insurance purposes, and before and after pictures on request for your peace of mind. 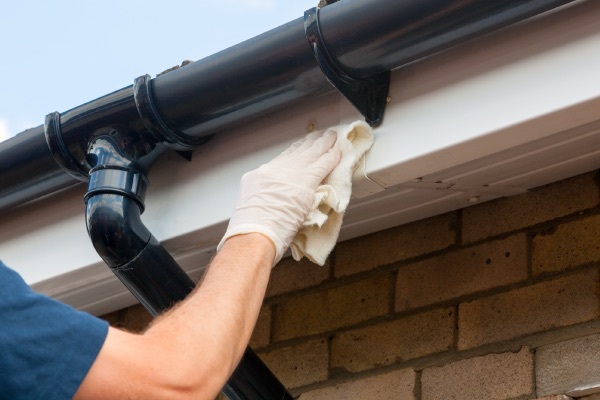 For a complete service you can combine our gutter cleaning service with our Fascia and soffit cleaning service at a discounted rate. We Pride Ourselves on Our Reputation of Being The Best Domestic & Commercial Window Cleaning Company in Cardiff. We are a family run business with over 15 years experience in the window cleaning industry. 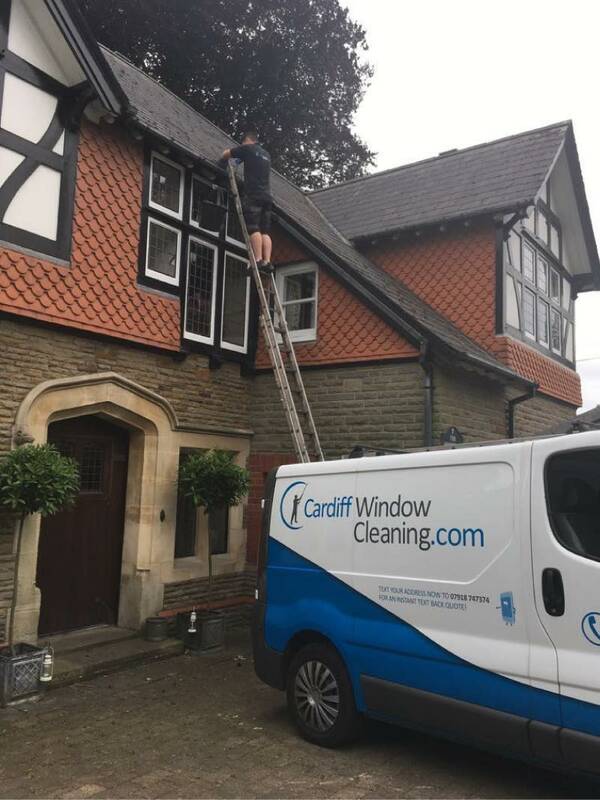 We pride ourselves highly on our unrivalled reputation for window cleaning services in Cardiff.